Some fans thought they heard him say “some version” instead of subversion, thinking he meant to release some version of Justice League. But it sounds like he was making a joking about fans being subversive, to undermine the authority of Warner Bros. and push for his director’s cut on Justice League. Here’s a video from Twitter so you can watch and listen for yourself. The “I hope so too” — and the way he said it — to me, that said the most. I’m kind of surprised he didn’t take that moment to thank the passionate fans for pushing for his vision of Justice League. They are the ones that still tweet #ReleaseTheSnyderCut. The Justice League cast would like to see Snyder’s intended director’s cut too; Jason Momoa said he was obsessed with the Snyder Cut and wanted to see it. Zack Snyder ended up stepping away (or was forced away) as the director of Justice League due to a personal family tragedy. Joss Whedon took over for reshoots, and a lot changed from what Snyder had envisioned for the film — and pretty much negated what he had planned to do next. The resulting Justice League film made a decent amount of money ($657,924,295 worldwide) but it didn’t really make anyone happy. 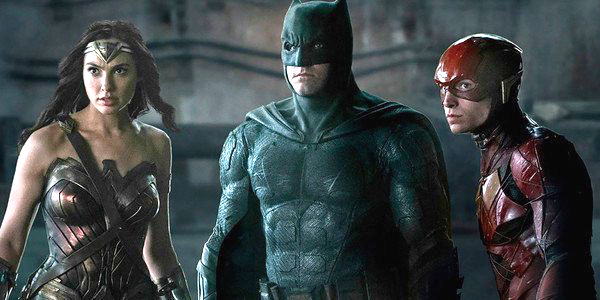 Recently, one of Zack Snyder’s longtime collaborators, photographer Clay Enos, said what happened with Justice League would “go down in film history as some sort of terrible wrong that can be righted, creatively.” He said we need a cultural shift that prioritizes auteur filmmaking from director’s with a specific vision. It does seem like Warner Bros./DC may have learned some lessons after the frustrations of Justice League. They found a hit with James Wan’s $1 billion Aquaman and look to have a crowd-pleaser with Shazam! Word is, Warner Bros. is shying away from the shared universe to focus more on individual stories and director’s visions. So some good seems to be coming out of the whole mess.